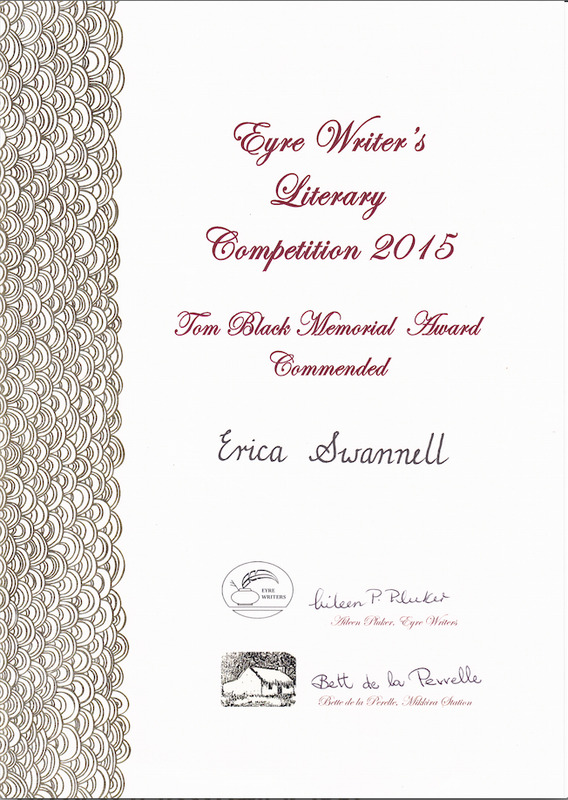 Commendation in the Eyre Writer's Literary Awards, Tom Black Memorial Prize, for rhyming poetry. Erica was thrilled, as it was the first competition she'd entered her manuscript into, and submissions were received from all over Australia. She was the only West Australian entrant to become a finalist. Fantastic start Erica - fingers crossed for publication soon!